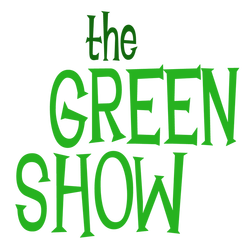 Thanks to everyone who submitted plays for The Green Show. We'll be announcing the top 5 soon! performers from that evening in any number of entertaining activities. Green Shows can be: musical or a variety act, a summary of the play, a small skit or scene being “tried out” to a fresh audience, a scene honoring a specific date or audience member or a sharing of any sort. Chicago Shakespeare Theater’s “Shakespeare in the Parks” Green Shows are scenes written and performed by summer students (all high school age). Ashland Shakespeare Festival’s Green Shows are primarily local musicians performing a free show for the public in the downtown area to encourage and promote the Festival’s evening events. St. Louis Shakespeare Festival’s Green Shows are largely summaries of the evening’s performance to help guide audiences into understanding what they are about to see. We are looking for 10-minute (ish) plays that are inspired by a line, a scene, a character or the entire story of As You Like It. We encourage writers to think of the various styles of Green Shows that exist at present, but most importantly we want it to be new work. We are looking for something inspired by Shakespeare, but beyond that is open to interpretation. Play submissions are due by February 15, 2014. The winning play will be announced April 1, 2014. Any questions you have about the competition can be sent to greensubmit@stonesoupshakespeare.com.